Do you want to boost your influence? Feel happier and more fulfilled? Be the best leader you can be? 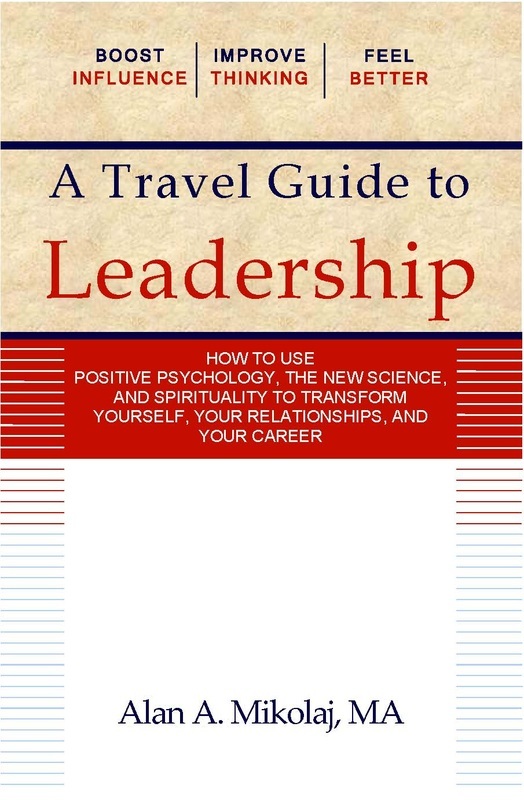 helps you discover a deeper level of who you are as a person and as a leader. The word lead originates from the Old English, lædan, meaning "cause to go with one" or "to travel." Alan presents strategies in an easy to read format and using real life stories that have the power to transform yourself, your relationships, and your career! Paperback. Order from the CreateSpace Direct online store (an Amazon company) by clicking the icon below ($15.99*). Kindle. Order from Amazon Kindle to read it on your Kindle device** by clicking the icon on the right ($9.99). Note: The Kindle version has quotes embedded throughout the text that were sidebars in the original paperback version. *All prices subject to tax and applicable shipping charges. Find out what people are saying about the book!